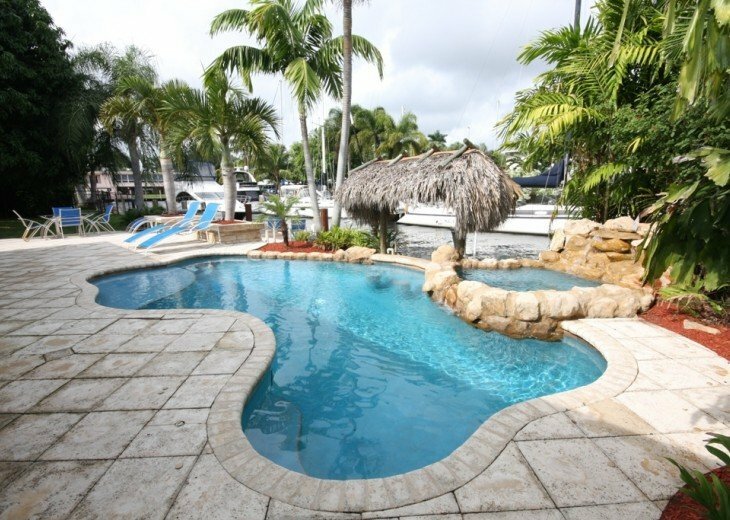 Our bright and sunny waterfront pool spa home offers 3 bedrooms, 2 1/2 baths and is nestled on the end of an Isle with beautiful beaches just minutes away. Enjoy the countless waterways of 'Venice of America' and watch the million dollar yachts cruise by. 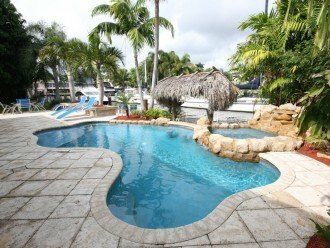 Experience the essence of a Florida lifestyle while creating lasting memories. The enchanting pool and spa has a built in table and chairs for your convenience to enjoy while luxuriating in the soft water. 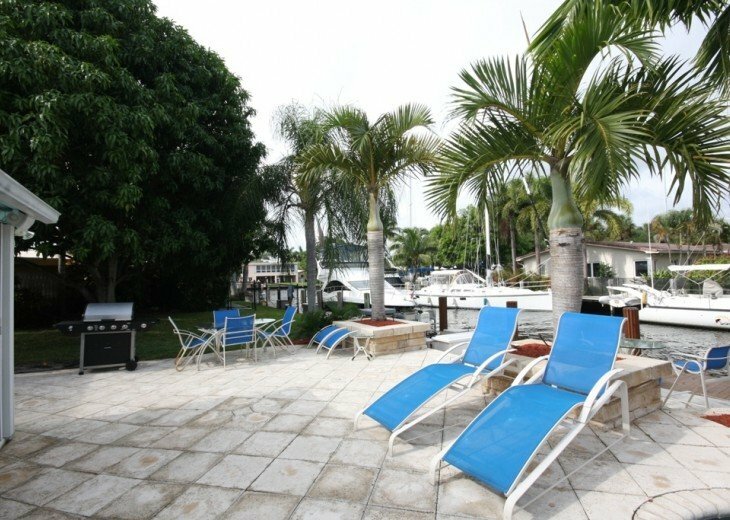 Indulge yourself in the jetted spa, dine under the tiki hut, cook your freshly caught fish on the gas BBQ, acquire a Florida tan while relaxing on the comfortable patio furniture or catch fish such as tarpon, snook, jacks or catfish right from the dock. Delight in the manatees that visit. 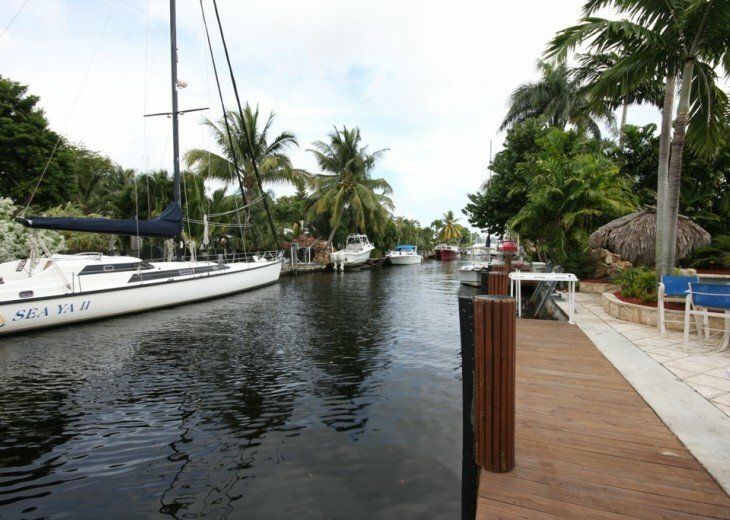 The 60' concrete dock offers direct ocean access from our waterway. Upon entering you will find a stunning living room with high quality furnishings, large flat screen TV and surround sound. 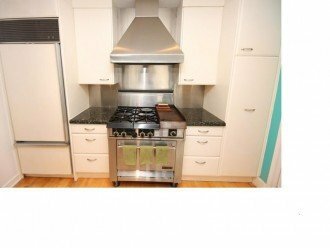 For the discriminating cook there is a well appointed kitchen stocked with everything you need for the preparation of delicious meals. 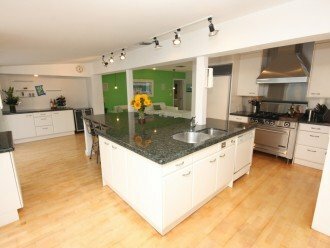 Complete with granite counter tops, large granite dining island, stainless appliances, professional gas stove with skillet and wine bar. The house features 3 lovely bedrooms, the en-suite master bedroom has a California king bed and European shower, bedroom 2 offers a full size plus twin bed, bedroom 3 has a queen bed &there is also an airbed and Pack & Play. 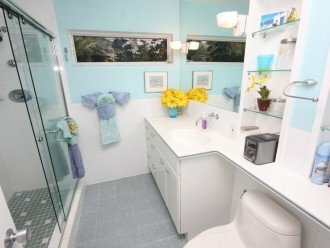 (maximum number of adults in house is Six and Two kids under 12 allowed) For your enjoyment, the home is equipped with high speed wireless internet, gas BBQ, outdoor shower, 4 flat screen TVs, premium cable, DVD player and even an ihome to charge your iPhone. It is unlawful for a sexual offender or sexual predator to occupy this residence. 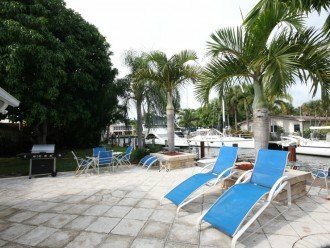 Locate on quiet cul de sac yet close to things to do, nicest beaches, beautiful views, great outdoor pool area, fish off the dock, considered best area of Ft Lauderdale. During the cooler months manatees typically visit the dock and dolphins usually seen daily. Everyone loves it not just kids! Toddler table and chairs provided. 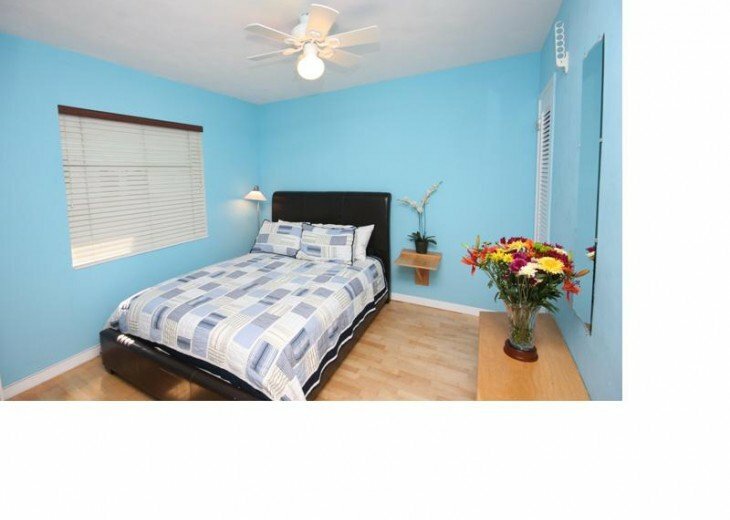 We are conveniently located near restaurants, shops, grocery stores and numerous other activities. Try your luck on a casino cruise or ride the Jungle Queen for a star studded tour of our waterways and take an air boat ride and view the alligators in the everglades. 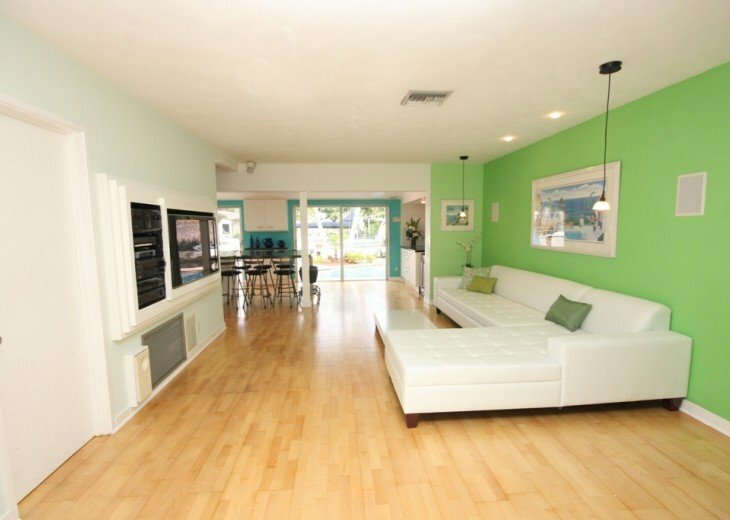 Just 10 minutes from Fort Lauderdale/Hollywood Airport, 5 from Las Olas, and 30 minutes from South Beach! Tie your boat up at Riverwalk for dinner or take in a IMAX. We have 20+ restaurants within a 20 minute boat ride from our dock! We even have a custom welcome guide with our recommendations to help make your stay truly memorable. 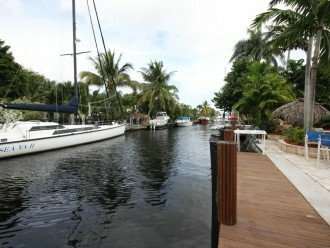 This is the best part of Ft Lauderdale which is why people from the USA and other countries prefer this SE section close to the nicest beaches and Las Olas. We travelled here with the family during spring break. This home is in a great location and has a very nice layout to it. 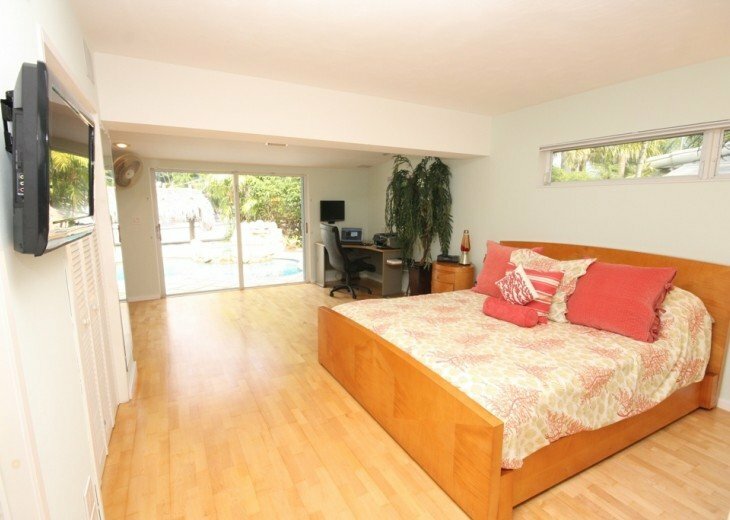 Three bedroom and they all have ample space – especially the master! 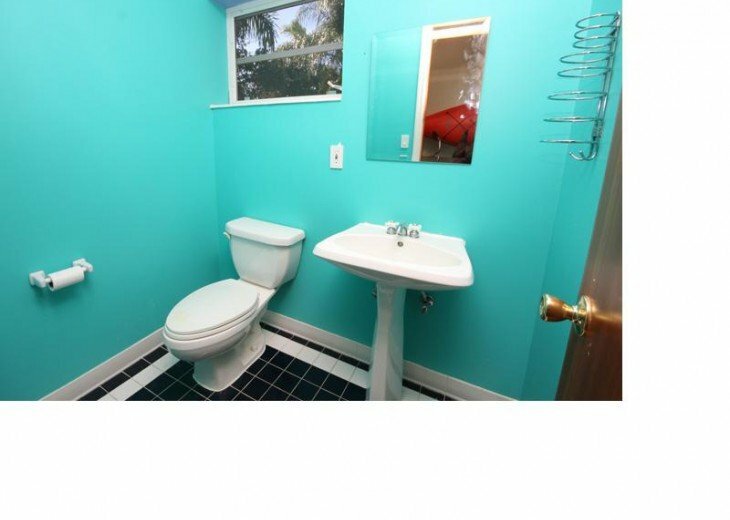 There are also three bathrooms so you should never find yourself waiting. 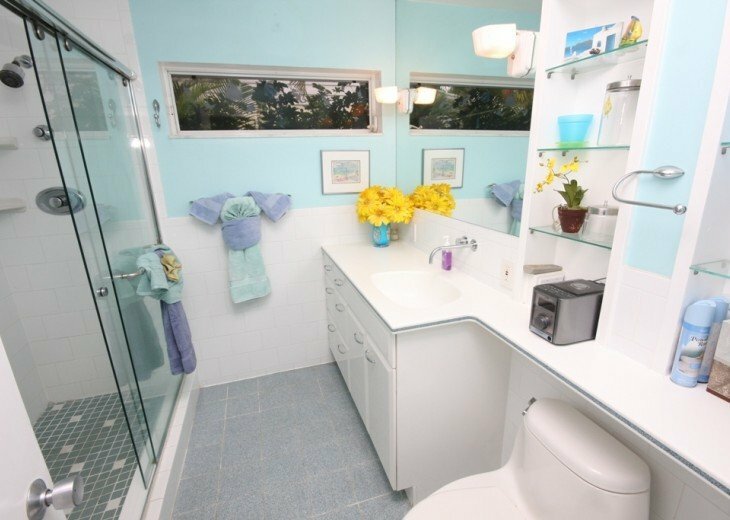 However, you don’t come to Ft. Lauderdale for the bathrooms, it’s for the sunshine and the beach and this home gives you access to both. It is a very short drive to the main beach where you can park and spend the day in the sand and surf. We usually headed back before the dead heat of mid-afternoon, to BBQ and hang-out by the pool. 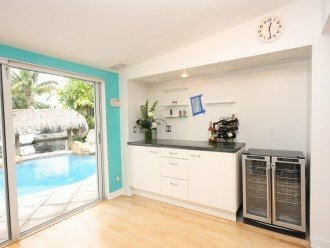 Not only that, but this home is in the perfect location for everything: quick access to the major highways, several minute drive to the airport, grocery, etc. The best pizza in town is not too far away – Anthony’s Coal Fired Pizza. The back patio is an oasis with views to the main river where you’ll see humungous boats sail by (or be tugged by because they’re so big!). The famous Jungle Queen goes by several times a day and is most entertaining in the evening with all the lights. The hot tub is a hit in the evening, perfectly situated facing the main river-way for the best scenery, but perfectly hidden for privacy. The kitchen amenities were great, a professional series stove and oven and anything else you could imagine. The furniture was new (or at least felt like it was) and clean and overall the home was in very good condition with lots of windows to enjoy the sun and view. We didn’t have any problems when we were there, but Jonathan quickly arranged for remedying the very minor things that came up. We even had an opportunity to fish off the dock several times and caught a blue crab and a catfish, which made for a great day of seafood! The fish cleaning station in the back was useful as well, but you should bring your own rods as there aren’t any in the home. We went out and bought some and had to leave them behind because they wouldn’t fit in our bags ? - so enjoy the canal on us! I would definitely recommend this home to anyone looking to come to Ft. Lauderdale! We stayed at this property and absolutely loved it. Kathie the owner was very welcoming and very helpful. 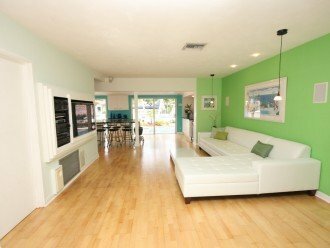 The house is in walking distance from the beach and bars and restaurants. My husband loves to fish and he did so on the back of the dock of this wonderful house. The house was spotless clean and had everything you wanted. We hope to return in the future and would certainly recommend this house for a holiday to anyone. This place was fantastic. We had a great time. It was clean and spacious. Pool and deck were clean. Owner left specific details so we had no problem finding anything we needed in the house along with recommendations on places to eat and visit. Prior to booking the assistance we got was very timely, professional and polite. This place had everything we were looking for. Close drive to ocean and restaurants, even more enjoyable was relaxing at the place itself. Coffee on the dock in the a.m. right on the canal, relaxing on deck to play cards or just read. Pool to relax and cool off in any time of day. 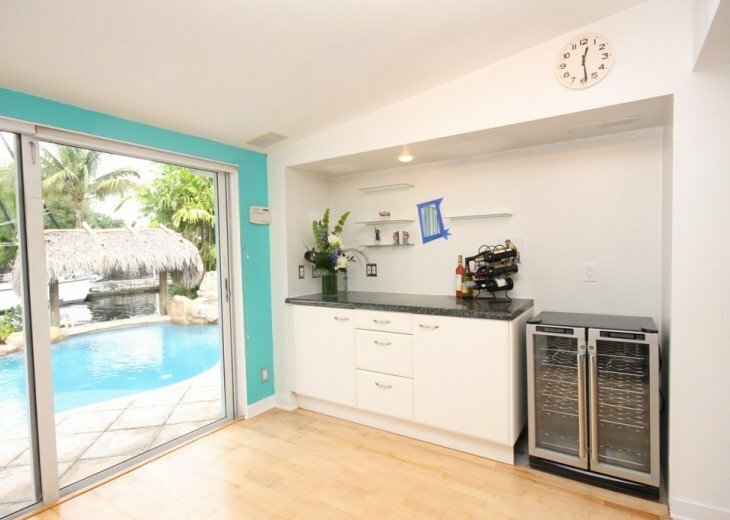 Plenty of kitchen space to make meals and grill outside worked great too. Six adults slept comfortably. 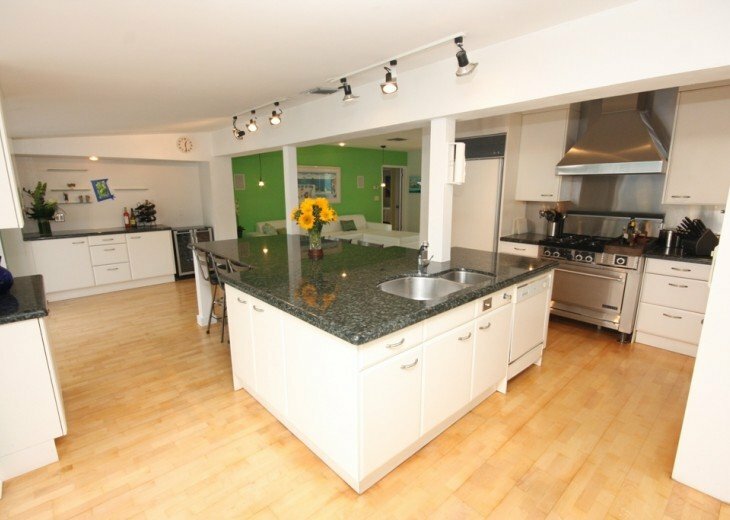 We would definitely rent this place again! Felt like we were at a private resort! Very relaxing! My husband and I rented this lovely home in April. The house is at the end of a very quiet street. The chairs on the dock are a wonderful way to start your morning watching the boats cruising by. I'm going to miss having my breakfast there every morning. The pool and hot tub were my favourite places to relax. Especially after a cold Canadian winter! 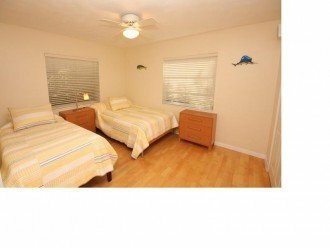 The house was very clean, comfortable and really well equipped. There is definitely lots of room for everyone. We'd love to bring our kids and the grandkids back for a holiday. The only problem we had was our payment. I sent it the wrong way and caused a bit of stress. Be sure to send it the way Lisa advises you to. We highly recommend this property.